The Rock and Roll Smart Control offers an exceptional power training workout, allowing your bike to move with you for a more realistic road feel and a stronger core. This smart electronic trainer delivers an immersive experience in the saddle, with efficient, targeted workouts and ride simulations that bring you up mountains and past your expectations. 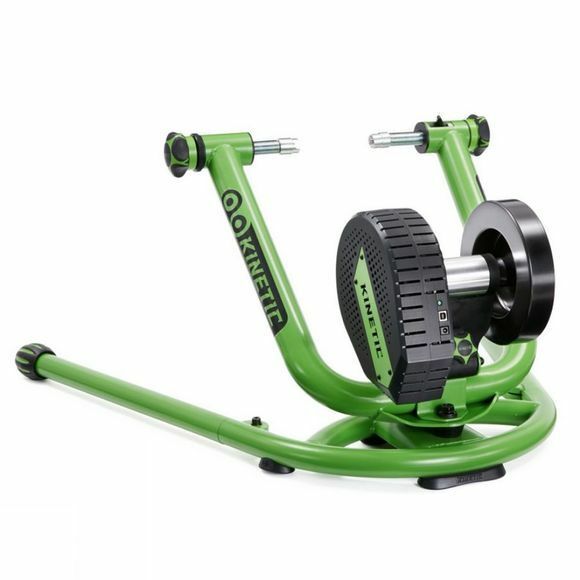 The trainer features a massive flywheel which provides a realistic road feel, app-controlled resistance, super-quiet operation, accurate and reproducible data. The Rock and Roll Smart Control has the ability to make it all work for you on any Bluetooth connected device using the exclusive Kinetic Fit app for iPhone or Android.